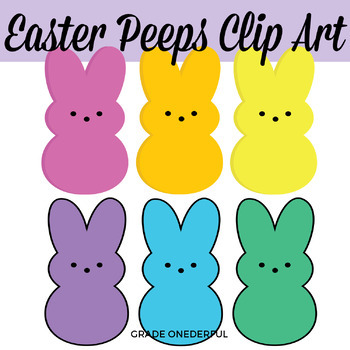 This set includes bunny and chick peeps both with and without the black outline. 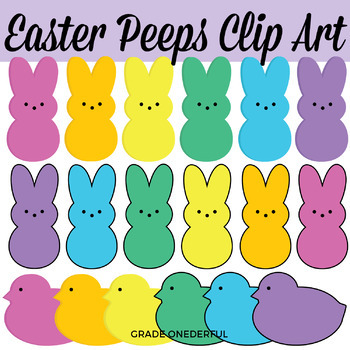 It also includes black and white clip art. You will receive one zip file containing 26 separate png files. These are 300 dpi (high quality) images with transparent backgrounds, so they're perfect for layering. 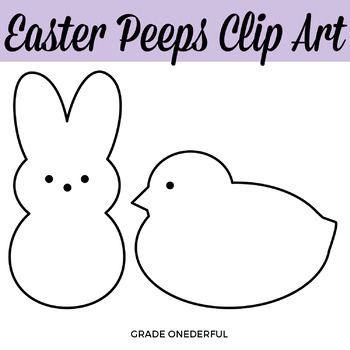 The bunnies are 8 inches tall and the chicks are 5.5 inches tall. There are 24 colour images and 2 black and white images. 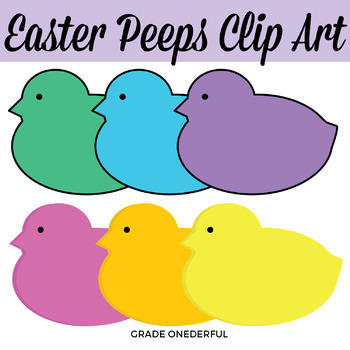 Want to see more Easter clipart?